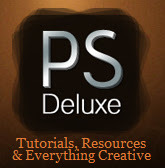 Tutorial resources and tutorial sites, these are some of the best free Photoshop tutorial sites available, so its time to get creative and give them a try.There are plenty of free Photoshop tutorials for the novice beginner to the more advanced Photoshopper. Happy Photoshoping. If you happen to know or come across any other great sites for free tutorials, contact me and i will be happy to add them to this list, thanks.